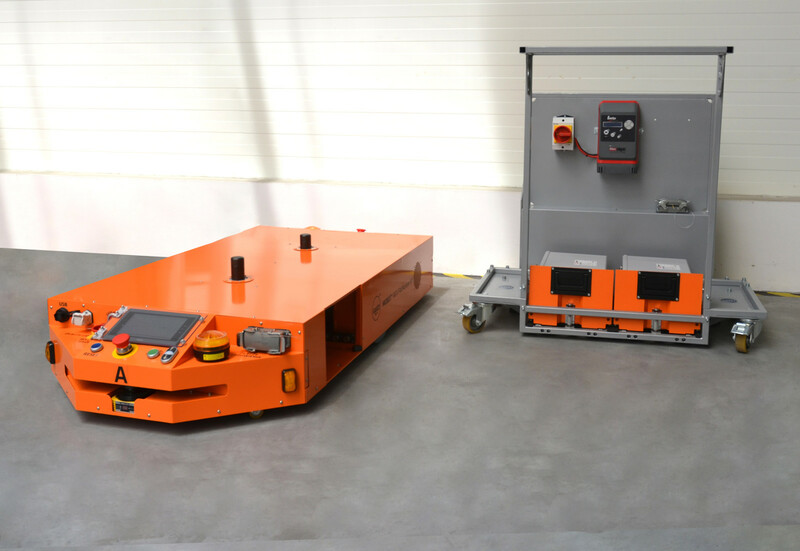 MOBOT® AGV robots are equipped with rechargeable batteries that provide efficient operation from 5 to 12 hours - depending on the type of robot. There are three ways to charge the batteries: with the charging station, automatic charging and quick replacement of the batteries with a new set. 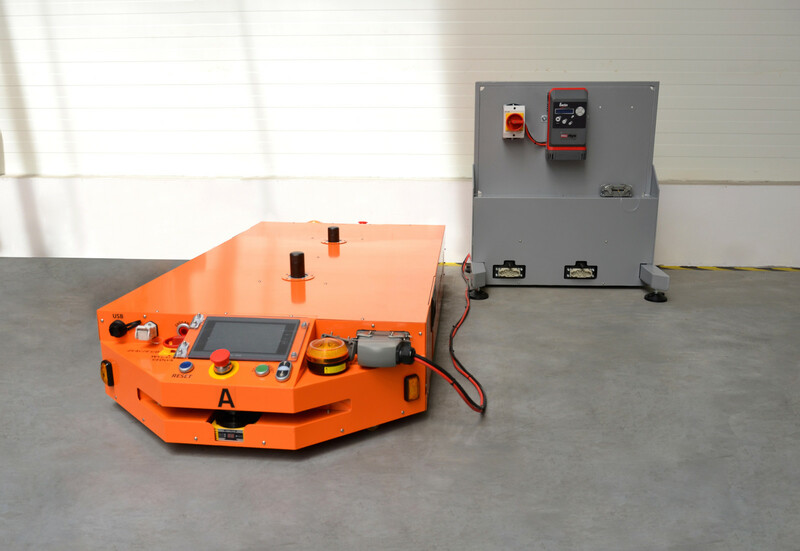 All robots can be loaded using the charging station delivered with the robot. In order to load the batteries it is necessary to connect the charger connections to the robot power connector and start loading. Optionally, the charging station can be made in a way to automatically charge batteries. In this case it is equipped with an additional board with contacts, placed on the floor. 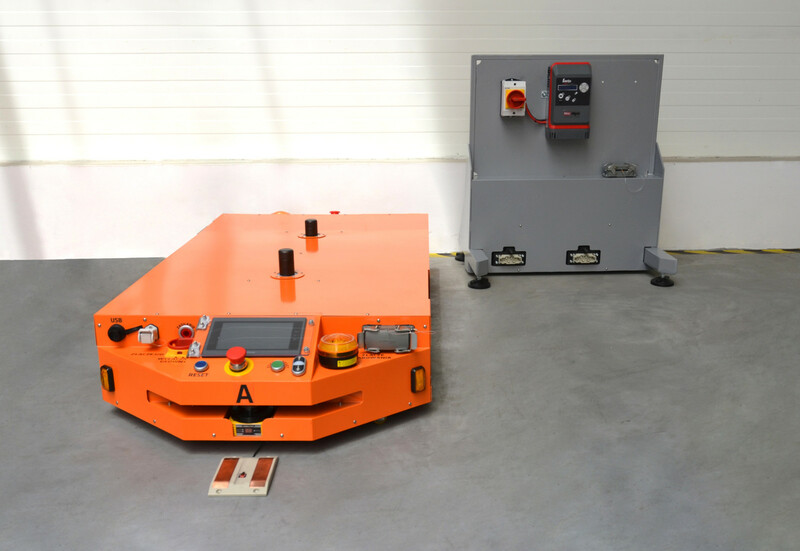 In order to load the robot must hover the board, the loading process starts automatically. Most types of robots are equipped with special-purpose cartridge cassettes with quick-change connections. Replacing batteries lasts less than 3 minutes , which allows the robot to work almost uninterrupted. Efficient, high-capacity batteries allow for frequent high-current charging.